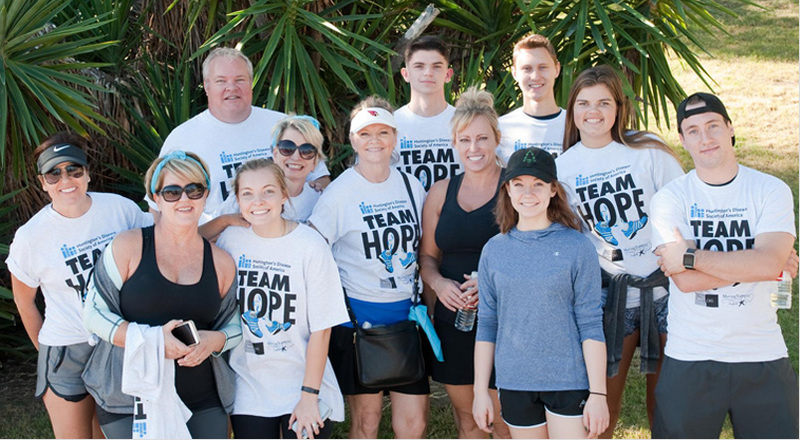 At HDSA, family IS everything! 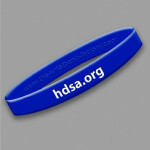 Show your support with this HDSA awareness wrist band. Sold in ten-packs only. 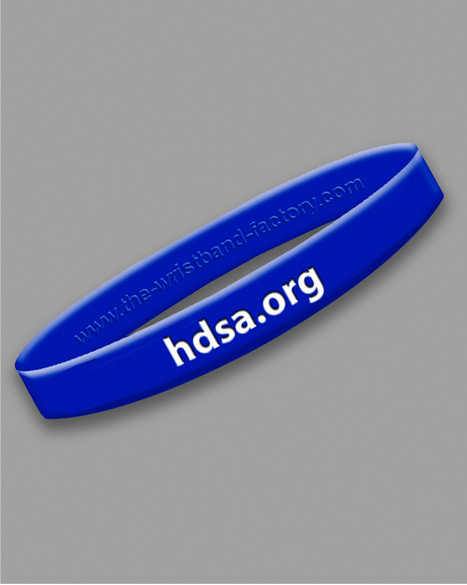 Help prevent law enforcement interactions from escalating and inform medical professionals with your new Huntington’s disease ID bracelet! 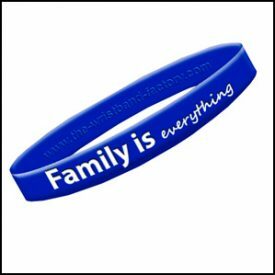 Adjustable wristbands are a soft, latex-free elastic. 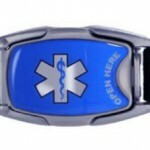 Lightweight, nylon plastic compartment is highly water resistant. 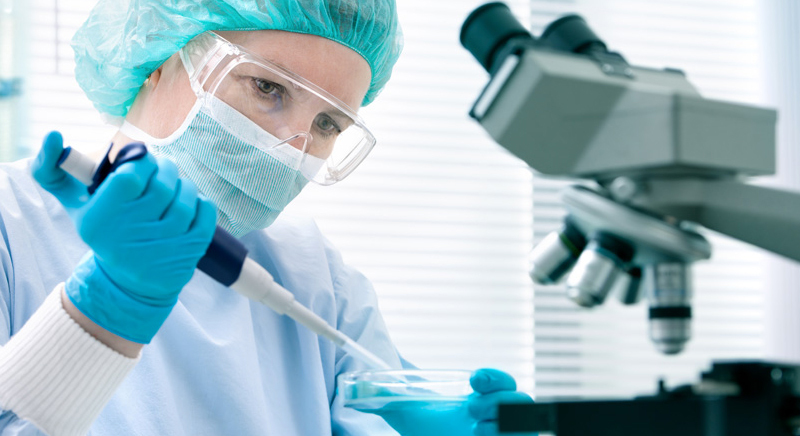 Includes 4 waterproof Tyvek inserts to write your medical background & emergency contact information. HDSA Shirt. 90% Cotton 10% Polyester. 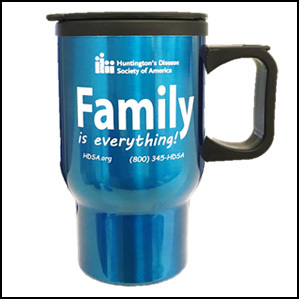 Double-wall insulation with a stainless steel outer wall and black plastic liner keep drinks warm for the long drive. 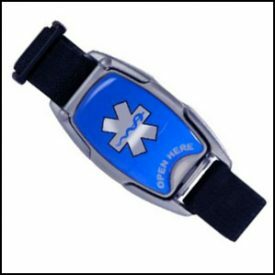 Black push-on lid has a thumb-slide opening on top to prevent messy accidents. 100% of the profits from this item will continue to support HDSA Programs and Services. 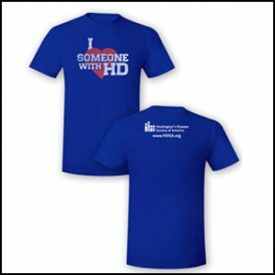 Show your love with an I heart someone with HD T-shirt. Pre-Shurnk 65% polyester, 35% ringspun cotton. Sizes listed are men's sizes. Please order accordingly. This lightweight 100% nylon taffeta Harriton® jacket folds so compactly, it will take up just a little space in luggage or bag. When the jacket is folded into pouch style, the windbreaker stays cleaner than one that hangs up. When wearing it, store lots in the windbreaker’s large front zippered pocket: wallet, passport, iPod, hotel key, sunglasses and more. Perfect for travelers and tourists when they’re just not sure how the weather will be — also a great head pillow or lumbar support pillow! 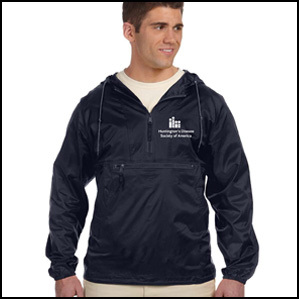 Wind- and water-resistant, so it protects while sightseeing on a rainy, gusty day. Includes a hood, hem casing with drawcords, and elastic cuffs for added protection, plus side pockets for chilly hands…and more storage. Coat has loops, so it can even be attached to and carried on a belt when packed into itself! Pullover jacket features a 1/4-length zipper. 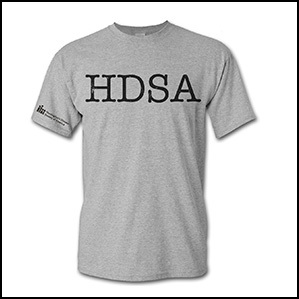 Embroidered with the HDSA Logo.